“Present-day Spain, a time of economic crisis and resurgent populist nationalism. The radical right has just won the election after twelve years of Socialist rule. In the midst of this political upheaval, a series of murders is committed, taking place from Madrid to Barcelona to Valencia. The victims include a politician a real-estate lawyer, doctor, a banker, and a nun. There is no obvious connection between them. 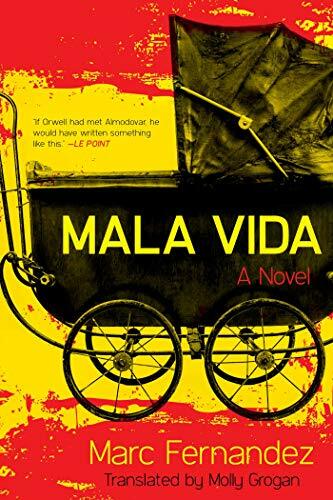 The premise of this book is unique and promising and it was exciting to discover a new fiction novel where Spanish politics play a big role in the story line. The unmasking of a conspiracy where children during Franco’s time were abducted and given to wealthy families provokes a national crisis that affects many people across the whole of Spain. The novel begins suddenly with an unexpected murder that at first appears to have no motive. It is soon followed by other similar murders across Spain that the authorities discover are all carried out by one of the activists who is heavily involved in the protests. The plot slowly unravels as the main character, Diego Martin, provides the space and publicity for affected families and protestors to voice their opinion on his radio show. Unfortunately, I was still unable to connect to Diego or the other characters even several chapters into the book. This definitely felt more like a plot-driven political drama rather than a historical crime noir and it was disappointing to see one murder after another with little forethought of the characters’ emotional state. Diego came across as a sincere man willing to do everything in his power to reveal the horrors of the past crimes but almost every chapter written from his perspective felt monotonous and predictable. Despite my struggle to enjoy this book, I was glad to have discovered one of the conspiracies in Spanish history that to this day remains almost taboo. The execution of the writing and plot as a whole was not as smooth as expected but I commend the author on conveying such a difficult subject matter with sensitivity and thought. Mala Vida is out to buy now! What a fascinating story! I didn’t know that children were abducted to be raided by wealthy families during Franco’s regime. It is a shame that you couldn’t quite relate to Diego but other than that, seems an interesting book. I was also shocked to discover that it really happened. The book was interesting but didn’t have me completely engrossed unfortunately. That is an enthralling premise, and you wrote a thoughtful review, Darina. Here’s hoping your next book is a winner! Thanks as always for your lovely comments, Jennifer! I had no idea such an interesting concept for a plot was a real event that happened! It’s a shame that it wasn’t a historical crime noir as you expected, which is such an intriguing genre that I’ve not yet explored but might just have to.